Are you a big fan of the series? Have you been to these eight fantastic Game of Thrones buildings where it was filmed in real life yet? The HBO series Game of Thrones is one of the most impressive shows in modern TV. And it’s so great not only because of the stellar book it’s based on, playwriting and acting but also because of the fantastic filming locations and graphics effects. And while you won’t be able to experience the latter in real life, you can certainly visit the sites. We all know about one of the most prominent places of the series – the King’s Landing, and its real life site – Dubrovnic, Croatia. But that’s not the only place that inspires the show – Game of Thrones was and is being filmed in picturesque locations and buildings all around Europe. And our list today is all about the amazing buildings in the show. 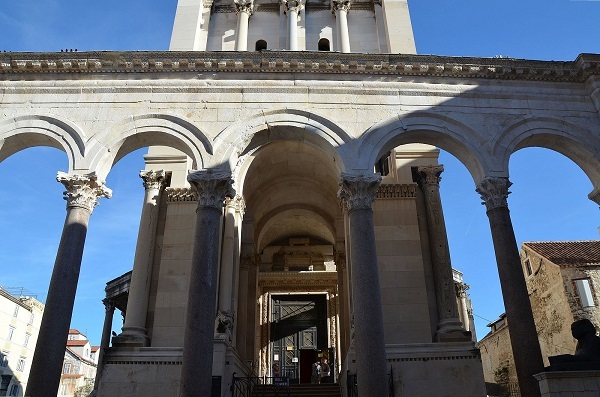 Many scenes have been filmed in various locations in Croatia, and one of the most famous monuments is the Diocletian’s Palace in Split. Granted, Game of Thrones doesn’t do justice to this historical marvel of architecture. The only scenes are filmed in its basement as Daenerys’ Throne Room. The palace is still worth checking out in real life, though. Ireland is famous for the numerous Medieval castles that have inspired many a movie. And Game of Thrones is one of the most popular of them. While most of the scenes of Winterfell were filmed on stage, the exteriors of Castle Ward in Strangford, Northern Ireland were used as the basis. We have to note that the production has added to the natural scenery of the castle in the series, but still, it’s as close as you can get to Winterfell in real life. This unique site is located in Guadalajara, Spain. In Game of Thrones, this is the Tower of Joy where two episodes of the season 6 have unfolded. We’re not going into details to avoid spoilers, but you can find this place in real life too. Interestingly enough, you’ll have to get the permission of the owner if you want to see it up close – it’s a privately owned estate. This impressive UNESCO Heritage site is none other than the Real Alcazar de Seville in Spain. Built by Moorish Kings in the 11th through 16 century, it’s a monument to behold, and it’s on every traveler’s guide of Seville. In the Game of Thrones, it was the filming site for House Martell scenes. This picturesque site in San Juan de Gaztelugatxe, Spain was none other than the home of Daenerys Targaryen. In the series, it was amped up with stunning effects of a giant castle and dragons, but the island itself is a real place. And you can visit it should you be around. The House of the Undying in Qarth is a real place in Dubrovnik, Croatia. As you know a lot of scenes of the series take place in this amazing ancient city. The city itself is a must-visit, and you have to be sure you check out the buildings that made some of the stunning scenes possible. Did you know that the King’s Landing of the first episodes of the series was filmed in Malta rather than Dubrovnik where it was moved later? Indeed, one of the pivotal scenes – Eddard Stark’s beheading was shot in Fort Manoel, Gzira in Malta. This stunning Mediterranean gem of a town in Croatia near Split is Braavos in the Game of Thrones. And while most of the greatness of the scenes in the series is thanks to the impressive CGI effects, the little town is awe-inspiring in real life as well.